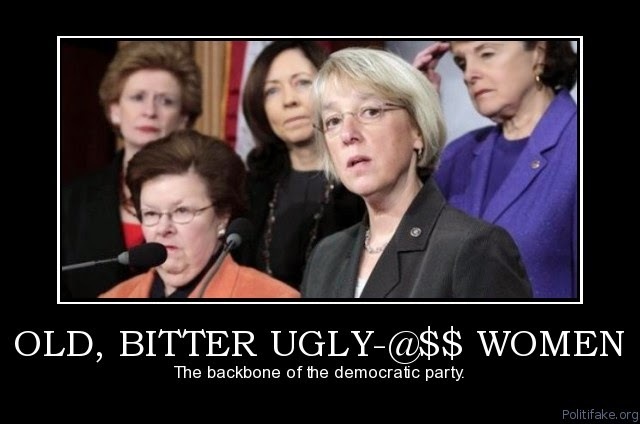 Well, this may explain why democratic women are often ugly. A new series of studies from Stanford researchers has found that people who feel “unattractive” are more likely to donate to the Occupy movement. Professor Margaret Neale and doctoral student Peter Belmi tested perceived concepts of beauty in relation to social hierarchies. The researchers told half of the participants to write about a time when they felt physically attractive or unattractive. The remaining participants wrote about an incident in which they were sensitive or insensitive to the needs of others. The participants were then asked to rate their own attractiveness and their ability to empathize. Finally, after watching a short video about the Occupy Movement, participants were asked if they would like to donate their compensatory $50 lottery ticket to the movement. Researchers found that those who perceived themselves to be less attractive were almost twice as likely to donate to Occupy. Those who related memories of self-confidence about their appearance viewed themselves as part of an elite social class and were less likely to donate to social inequality causes.